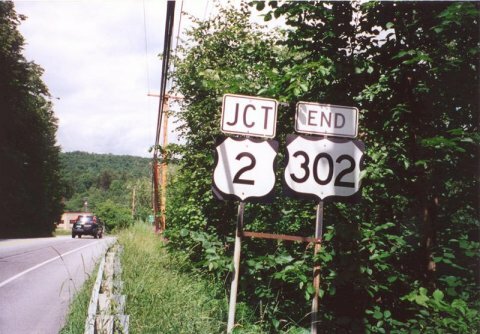 END signage for US 302 in Montpelier. The roadway ends around the bend at US 2. Photo by Alex Nitzman and Andy Field. 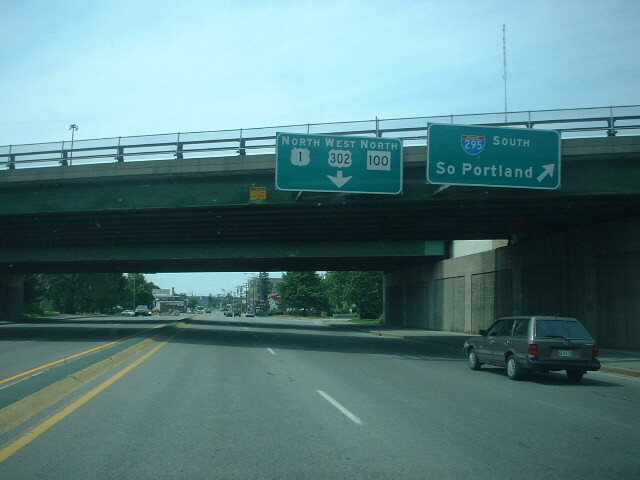 Westbound US 302 begins while multiplexed with US 1 and ME 100. This is the beginning at the I-295 interchange. Photo by Doug Kerr, taken June 28, 2003.